Skype announced today today that it has added Italian and Mandarin to its short list of supported languages on its real-time Translator service for voice and video chat. 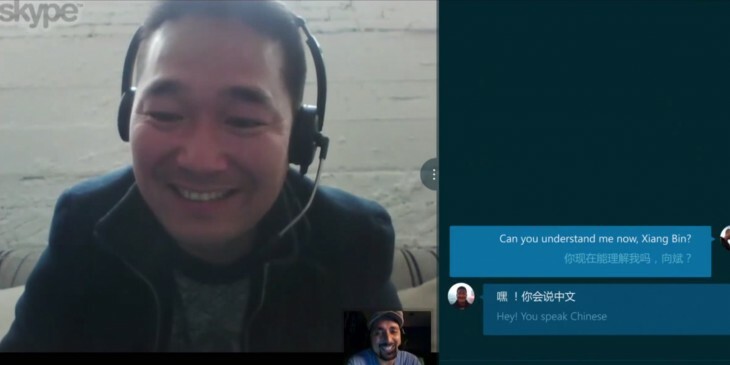 The company launched a preview of Skype Translator for registered Windows users last December, with support for English and Spanish. In addition to the two new languages, updates to the preview include a few interesting features designed to make translated conversations feel more natural. For starters, you can now hear your chat partner speak continually at a low volume while the translation plays at full volume. You can also mute the translated voice if you’d like to only read the transcript, or choose to have instant messages read to you in any supported language you choose. Plus, Skype has added Serbian, Bosnian, Croatian, Maya and Otomi to its list of languages for instant messaging. If you haven’t yet tried Skype Translator, you can sign-up for the preview here.